Khau Gallis are like the veins of each city, especially for student population. For the uninitiated, khau means treat and galli means lane in Marathi. The delicious aromas and mouth-watering sights are the main attributes of a khau galli. 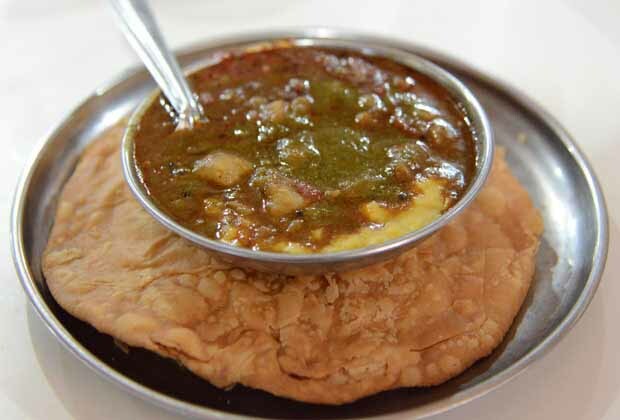 Featured below are the most famous khau gallis of Mumbai. Mostly famous with office-goers and students, they have variety of dishes. The thelas on roadside cater to all your tastebuds. Butter pave, chaats, bhajiya and milkshake are it’s known staples. The lane is active late into night. You can move over to Cross Maidan for lip-smacking non-veg food. This place is heaven for meat-lovers. This street that runs alongside Minara Masjid has sizzling tikkas, fluffy naans, succulent kebabs, and mouth watering malpuas. Bollywood stars are regular here, especially during Ramzan. The best phirni can be had at Sulieman Bakery. Carter road has the most diverse variety of food you can ever find. They have the Mumbai special vada pavs, pav bhaaji, frankies and kulfis but you can also find delicious shwarmas, hot momos, waffles and frozen yoghurts. The sea breeze makes it all the more appealing. This is THE place for all your jewelry- gold, silver and diamond. Apart from that the foodstalls on the road will give you culinary delights at pocket friendly rates. You will get all the Mumbai special items as well as the new cuisines- in desi style of course! This lane probably has the most variety of dosas you will ever see. Ghatkopar khau galli is a must visit for all the vegetarian foodies. The sandwich dosas are a specialty. Mahim’s khau galli is the only place where you can get a Chicken Vada Pav. Yes you read that right! There is a meaty twist to all dishes on this lane next to Mahim Dargah. This is another meat-lovers paradise. Situated in the heart of working areas this place is swarmed with office-goers to grab that quick lunch. It has a range of thalis and meals as well as shwarmas, sandwiches and juices for those who prefer a fancy and light lunch. At Utsav Chowk, clean road, fresh air and the fountain in middle is what pulls the crowd to Kharghar khau galli. Regulars sear by it as the place to get best momos in Mumbai. They also have the variety of other staples that are famous in Mumbai. It is not a easy place to reach but worth visiting over the weekend for that slice of foodie heaven. The eateries here specialize in Sindhi and Punjabi food. Freshly prepared chaats and beverages are the speciality here. Located near Mangaldas Market and Crawford Market, take a break from shopping and have the snacks. So go explore Mumbai and have those delicious delicacies!